Family owned and run since 2008 our independent practice provides a tailored approached to creating each patients individual smile. Chapman Dental Solutions are committed to providing beautiful bespoke dental prosthetics with outstanding function and aesthetics. Call our clinic today on 0191 4886668 to find out how our cosmetic dentures or implant assisted solutions can change your smile, confidence and life ! Welcome to Chapman Dental Solutions the North East’s premier Cosmetic Denture Clinic and Dental Laboratory. 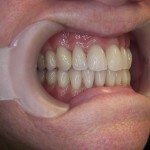 Our UK trained and registered clinical and technical staff are experienced in dental prosthetics, facial aesthetics, dental implant restoration and maxillofacial technology, we at Chapman Dental Solutions use these hybrid of skills to providing outstanding function, aesthetics and total denture satisfaction direct to our patients and on referral to dental practices on behalf of dentists. 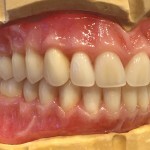 Chapman Dental Solutions focus on working extremely closely with our patients to provide solutions to many common denture problems such as poor fit, inferior materials or unnatural unrealistic cosmetics. Ask your general dentist for a referral or visit us direct at our clinic in Whickham, Tyne & Wear for a free consultation and set your smile free. Do you have ill-fitting dentures that give you discomfort and pain? 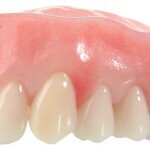 Do you want the most natural bespoke dentures available? Do you have problems talking or eating with your dentures? Do you feel self-conscious and embarrassed about wearing false teeth? Do you feel your dentures do not support your lips and face like they used to? 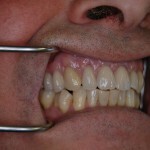 Do you have loose teeth, failing crowns and need a permanent solution? If the answer to any of the above is YES then contact us for a no obligation FREE consultation with our Clinical Dental Technician to begin your journey to better dentures today !